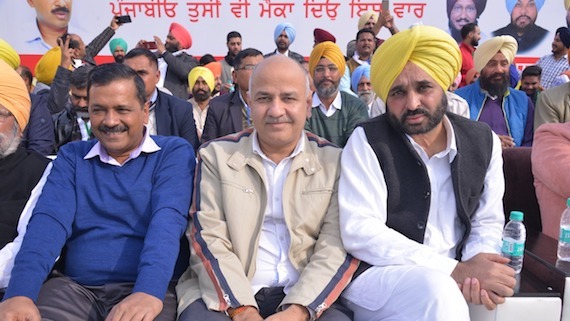 Barnala, Punjab: Sounding a poll bugle ahead of the Lok Sabha polls, Aam Aadmi (AAP) convenor and Delhi chief minister Arvind Kejriwal said that the Aam Aadmi Party would contest all 13 Lok Sabha seats in Punjab. Delhi CM criticised Punjab CM Captain Amarinder Singh-led government saying it had cheated on the teeming millions of distressed farmers, unemployed youth, ‘dalits’ and the underprivileged in the state. 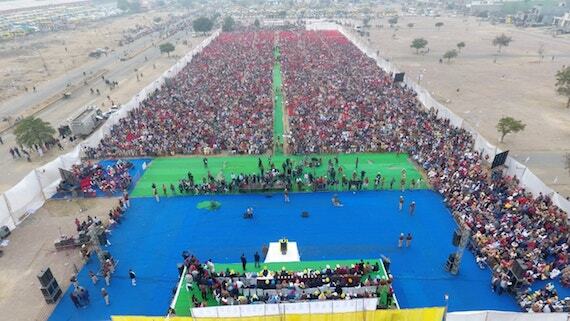 He was addressing a mammoth rally at Barnala here on Sunday. Continuing his tirade against the government in the saddle, he said the AAP government in Delhi, during its 3-year tenure in power, had brought about drastic changes in bettering the health care, education and other areas, which had attracted rave review from across the globe. Reacting to the canards being spread by certain vested interest against the party dubbing it as a ‘scattered’ party, he said AAP had always fought for the rights of the people and would continue to do so in the future as well. He said that today’s rally was a befitting answer to those spreading rumors. He was critical of the erstwhile SAD-BJP and the Congress Party for colluding with each other to harm and send the party from Punjab packing. But, the people reposed abiding faith in us and that we put up a bold face and devastated their evil design with strong will power and perseverance. Accusing the previous governments in the state changing hands in power, of being insensitive to the cause of the people, including the dalits, poor and the under-privileged as and when they were voted to power. They had always been neglected by the subsequent governments, he said. 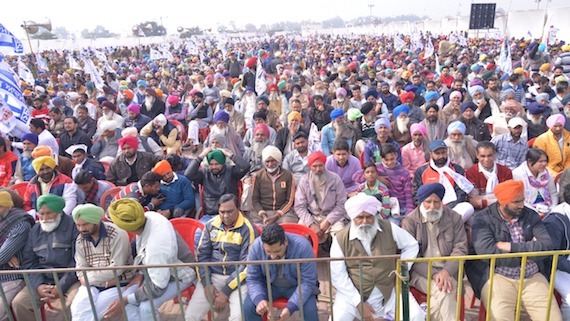 Referring to the anti-Dalit and anti-people policies of the Captain government, he said education and health services had crumbled to the brink during its one-year tenure. This, he said, had led to depriving dalits, poor and the under-privileged in the state. He further that if the government holding the fort could not provide basic amenities in the field of education and health services, it had no moral right to be in the august chair. He also accused Captain of giving a false hope to given employment in every household and give Smartphone to the youth. Citing an example of the Delhi model, Kejriwal further said that the AAP government had redefined the concept of education and health services. He patted deputy chief minister, Munish Sisodia, who also holds the education portfolio, he said that he had toiled very hard to change the education system by introducing new technology and providing seamless facilities in government schools, giving access to the dalits and the under-privileged to the right to education.. He said that earlier the government school results were 40 per cent which stood at 80 per cent during the last year. Lauding the role of Sangrur MP Bhagwant Mann, he said that he (Mann) was the true representative of the people of Punjab as he was the only elected representative from the state who spoke about the rights of the people in the Parliament. He said that he entered politics to serve the people of the state after quitting his lucrative career as an established artiste.